Stockholm-based photographer Lena Modigh first met Lovisa Ingman on a sportswear shoot when Lovisa was just 15 years old—so young, in fact, that the model was still chaperoned by her father. Although Lena was nervous about shooting someone so fresh, Lovisa was a natural. The pair clicked immediately. 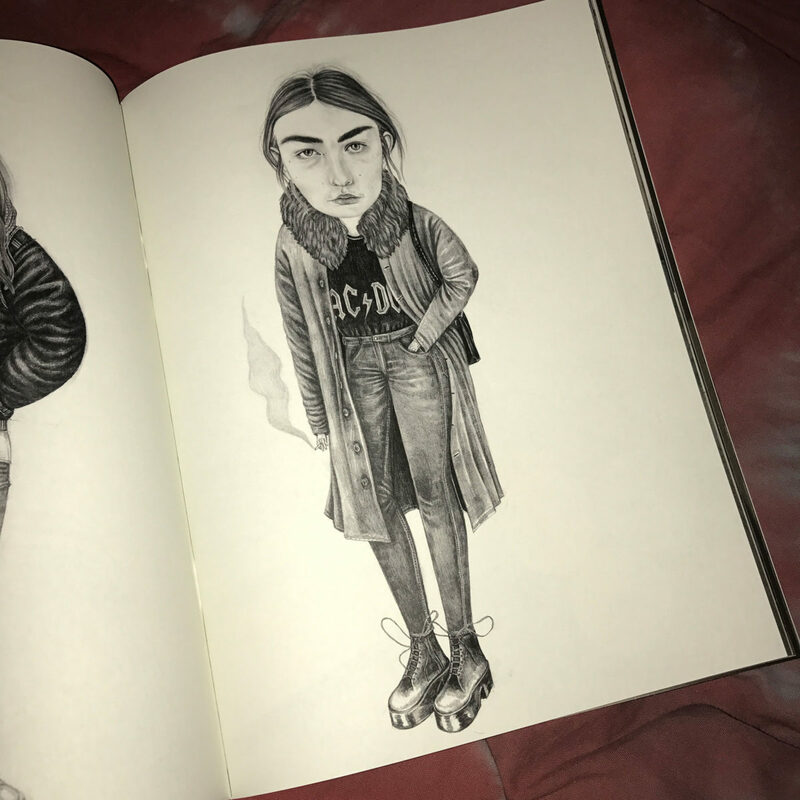 It’s friendships like this one that Lena celebrates in the new issue of her zine, Period. 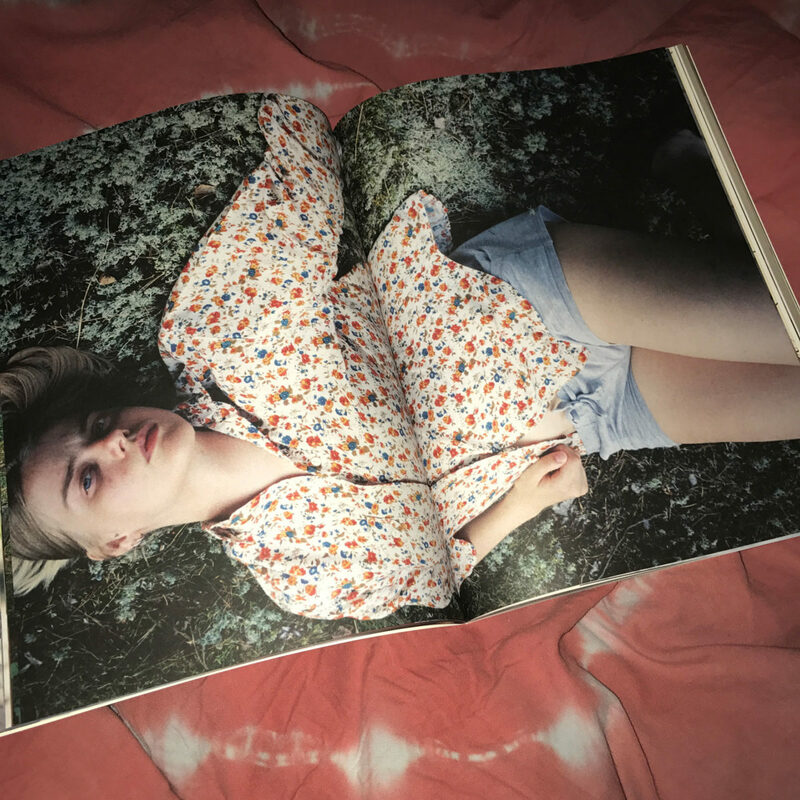 The GIRL CRUSH issue pays homage to the often rewarding, sometimes complicated relationships between women, whether platonic, sexual or something in-between. 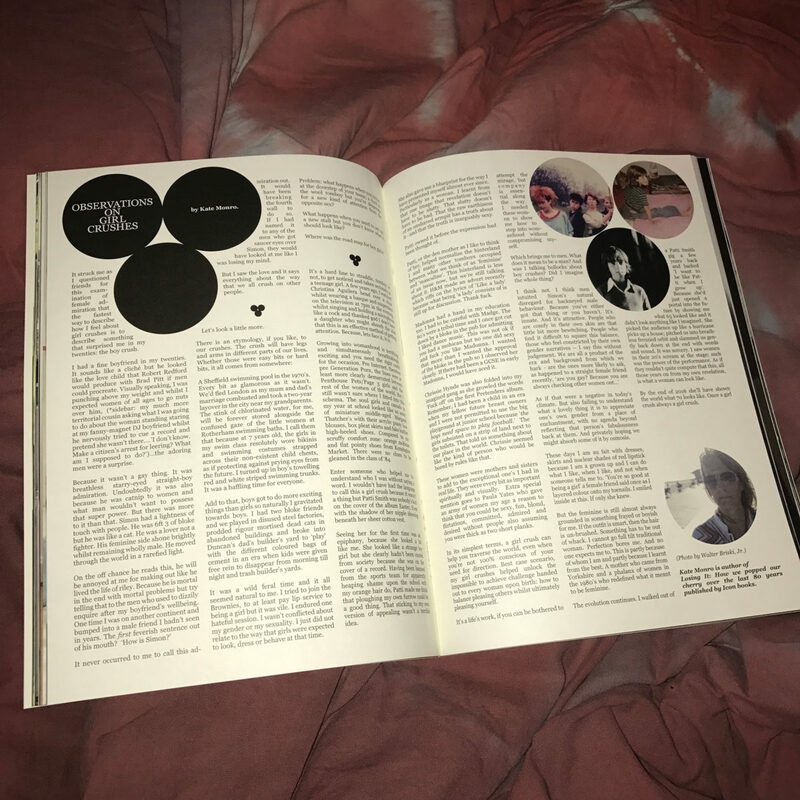 Here’s a short extract from an interview that appears in this issue of Period., between Lena and a now grown-up Lovisa. Part of Polly Brown’s shoot for Period. Lena: You and I met for the first time, I think, almost ten years ago. Was it your first shoot? What did you think? I remember you having so much energy. How old were you then? Lovisa: At the time I was fourteen or fifteen, and I was still in school. It wasn’t my first shoot but it was among the very first I did. I was fascinated by the process, which I still am. Do you think modeling changed the way you look at yourself? Can you see what it is other people see in you? Certainly, modeling has changed the way I see myself. I went from just being a kid playing, to realizing that I had a body, and that my body was a special kind of body. That I was a type, had a certain look, and that people had opinions about this—about me—good and bad. It is strange to get into this mindset and awareness at a very young age, as it was for me. Fourteen is a fragile age. What other people see in me I honestly don’t know. I have never woken up to think I am the hottest thing or that my look is so incredible. That is not what I see passing by a mirror. When I see pictures of myself I look at them as if it is another person. I look at them in third person. I know I was there, but when I look at the end product I don’t really see myself. A picture of me might be of me, but it is a fraction of who I am. This is a difficult topic, I notice, as I try to answer your question. I think it is related to how much we are both our bodies and our minds. Having a lot of anguish and anxiety, panic and doubt, makes you feel the opposite of comfortable in your own skin. I have been more acquainted with self-disgust than appreciation. To be in a bad mental state is to be far away from yourself. At least, that is how I have experienced it. Then it is hard to embrace yourself: your body, your soul, your personality, your history. Sometimes when I’m taking photos of really young girls, I feel like I’m abusing them. I’m stepping into their world, and I’m not meant to be there. Does it make sense? It does make sense. To be photographed is an intimate act. As a photographer, you are approaching someone else. You are an observer. You notice something about or in someone, and you want to materialize that; take or make a picture of it to express it, share it, and immortalize it. 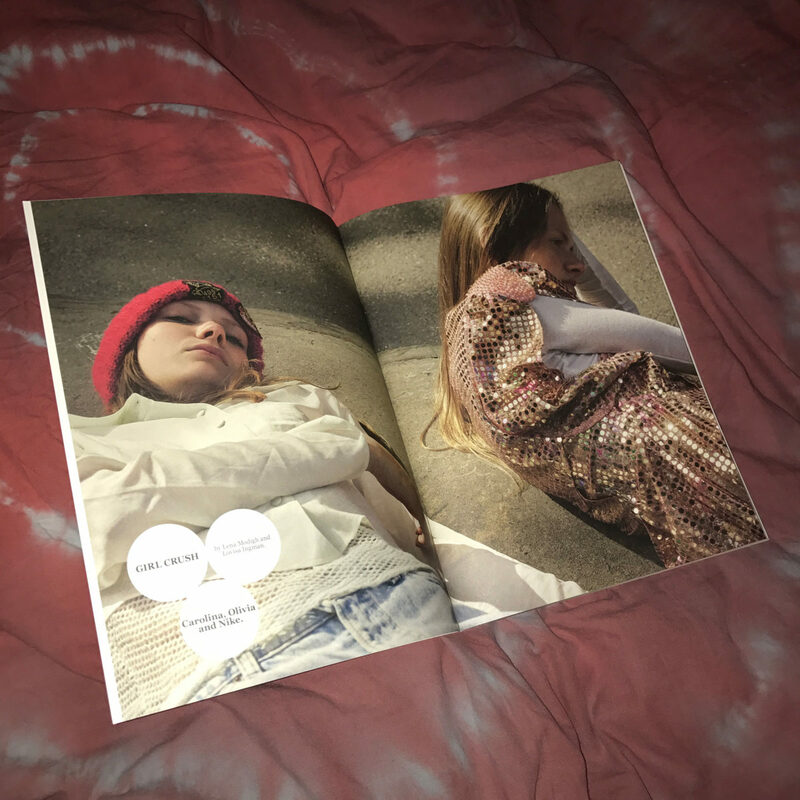 Take a look inside the new issue of Period. 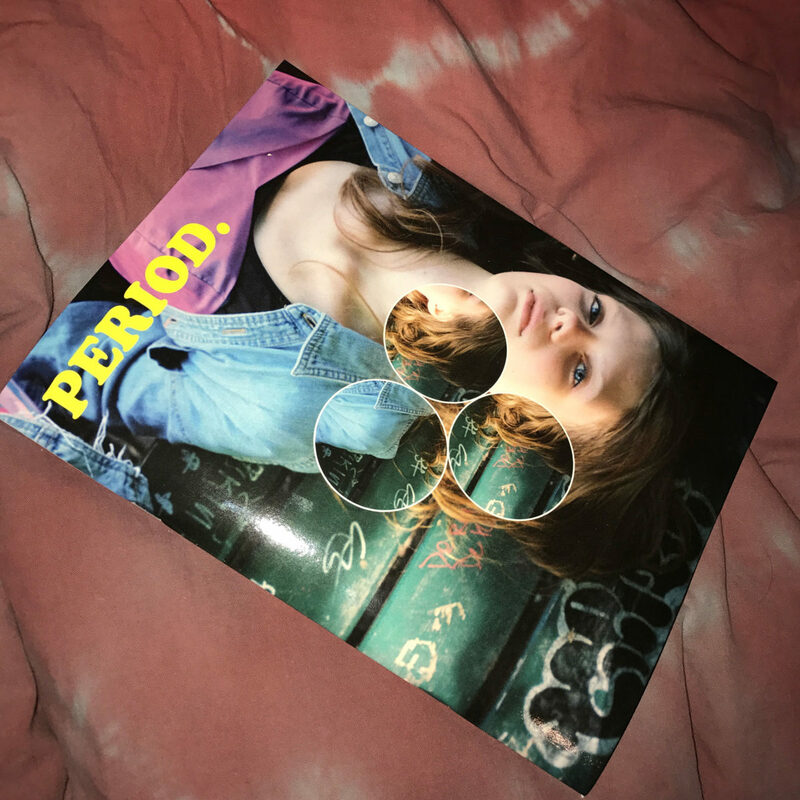 Thanks, Lena, for sharing the new issue of Period. with us. Find out more about Period. on their website and follow them on Instagram. Interview: courtesy of Lena Modigh at Period.